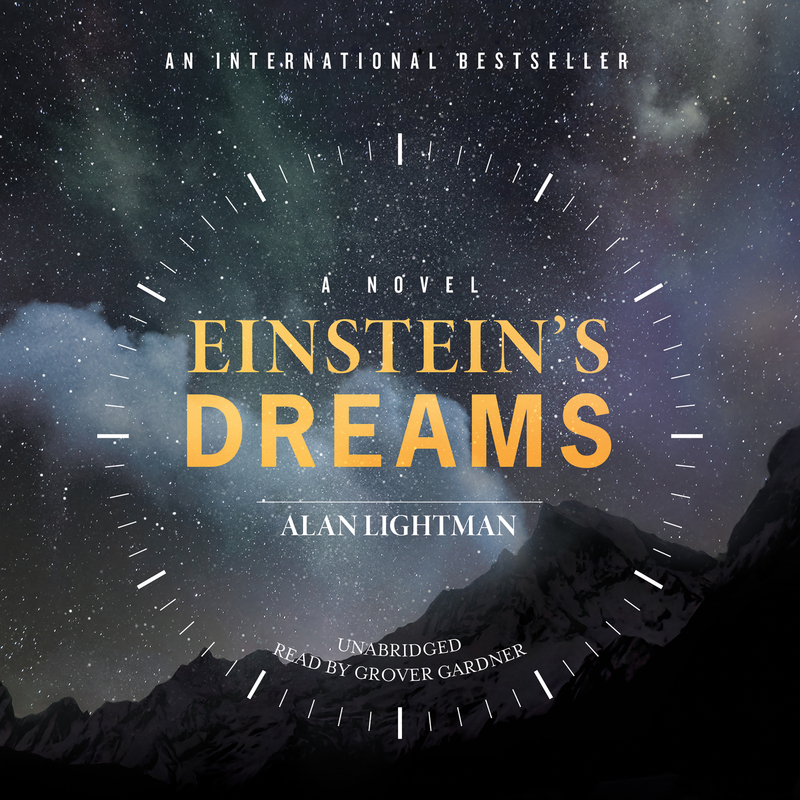 Einstein’s Dreams - Audiobook | Listen Instantly! A modern classic, Einstein’s Dreams is a fictional collage of stories dreamed by Albert Einstein in 1905, when he worked in a patent office in Switzerland. As the defiant but sensitive young genius is creating his theory of relativity, a new conception of time, he imagines many possible worlds. In one, time is circular, and people are fated to repeat their triumphs and failures over and over. In another, there is a place where time stands still, visited by lovers and parents clinging to their children. In another, time is a nightingale, sometimes trapped by a bell jar. Translated into thirty languages, Einstein’s Dreams has inspired playwrights, dancers, musicians, and painters all over the world. In poetic vignettes it explores the connections between science and art, the process of creativity, and ultimately the fragility of human existence. Alan Lightman is the author of several novels, including Einstein’s Dreams, a New York Times and international bestseller, and The Diagnosis, a finalist for the 2000 National Book Award. He is also the author of several collections of essays and numerous books on science. His work has appeared in the Atlantic, Granta, the New Yorker, the New York Review of Books, and Nature, among many other publications. A theoretical physicist as well as a writer, he has served on the faculties of Harvard and MIT, where he was the first person to receive a dual faculty appointment in science and the humanities. Gore Vidal (1925–2012) has received the National Book Award, written numerous novels, short stories, plays, and essays. He has been a political activist and as Democratic candidate for Congress from upstate New York, he received the most votes of any Democrat in a half-century.